Honeywell digital thermostats are capable of varying the temperature of your home hour-by-hour based on a pre-programmed schedule. This allows you to automatically lower the heating or cooling while you are sleeping or out of the house. You might want to temporarily change the temperature of the thermostat during a cold snap or heat wave if your home is uncomfortable. Temporary adjustments are simple to make in just a few seconds. 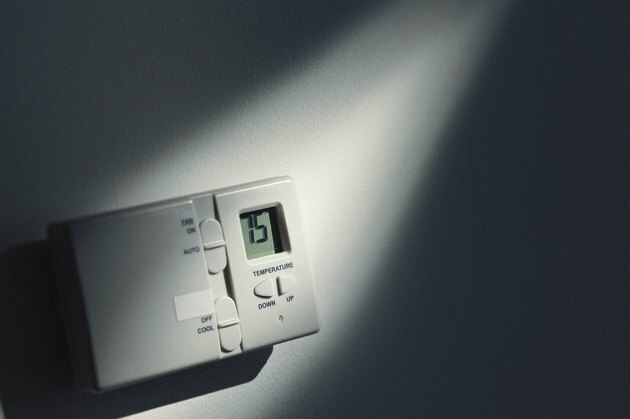 The thermostat is the control panel for your home's heating and cooling systems. Hold the "Hold" button on the touch-screen display until "Permanent Hold" appears on the display. Touch the up or down arrows on the right side of the display to increase or decrease the target temperature. Wait while the heating or cooling works to achieve the temporary temperature setting. Press "Cancel" when you want to return to the normal heating or cooling schedule established by the pre-programmed settings.